Heavy duty steel chassis and 4 blade disc cutting for most lawn types. 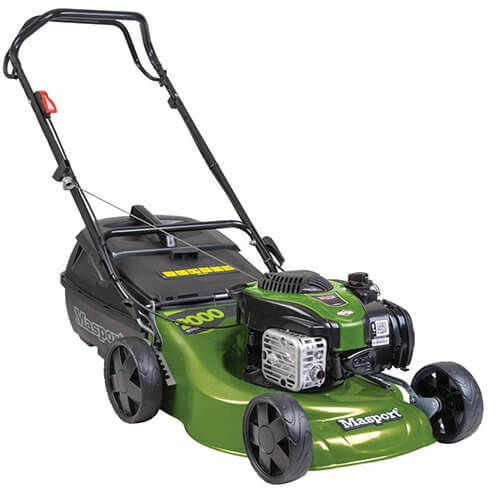 This fully featured model can mulch or catch the cut grass. This powerful Briggs & Stratton engine self propels this mower. Save your back, let the mower do the work.